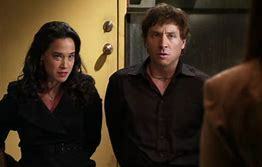 Who's the most annoying client to hire the Doyle's in season 2? Who do tu think is the best match for Jake (Allan Hawco's character on "The Republic of Doyle")? a poll se añadió: Who's the most annoying client to hire the Doyle's in season 2? a pop quiz question se añadió: Who is the client to the right? a pop quiz question se añadió: When's the siguiente episode we meet Ziggy Putt? a pop quiz question se añadió: Why was the doctor about to be murdered? Who is the client to the right?